fall leaves | eat. play. sleep. 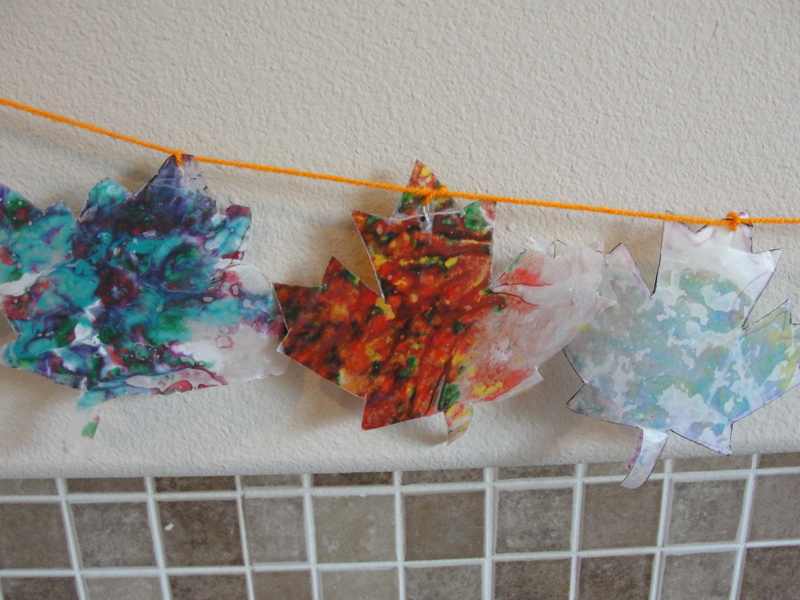 A few weeks ago, we went to a play group and made some old school melted crayon leaves. The girls had so much fun that we came home and made a few more to string up over the fire place. 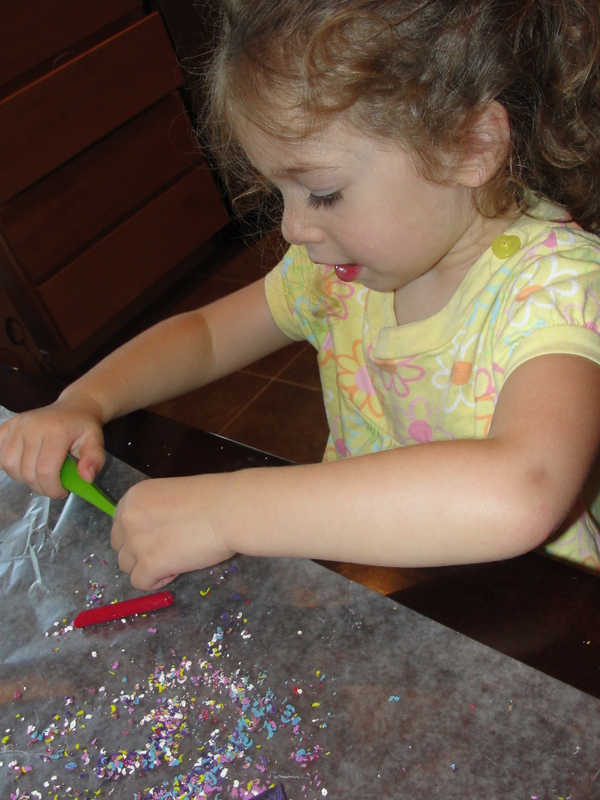 If you’ve never done this craft before, just get some crayons that need sharpening, and sharpen them in a small hand held pencil sharpener (we have one just for crayons). 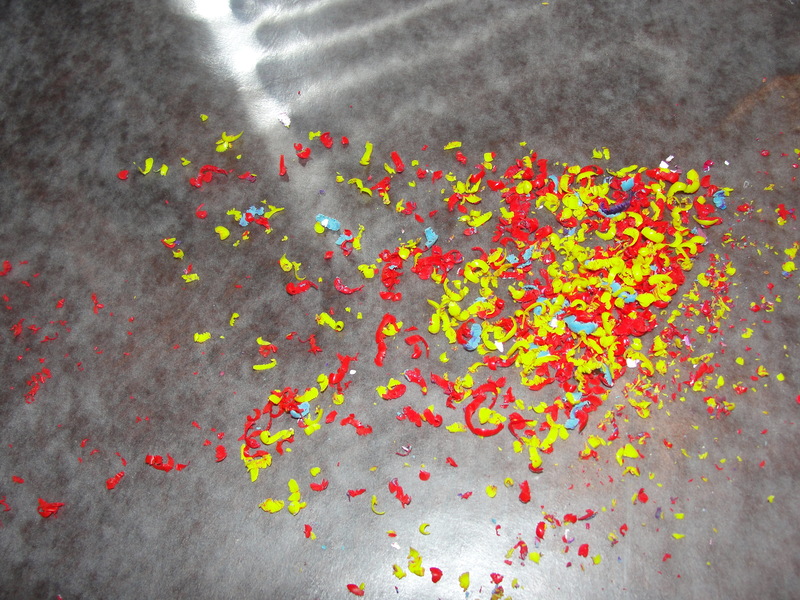 Sprinkle/dump the shavings on a sheet of wax paper, then put another sheet on top. 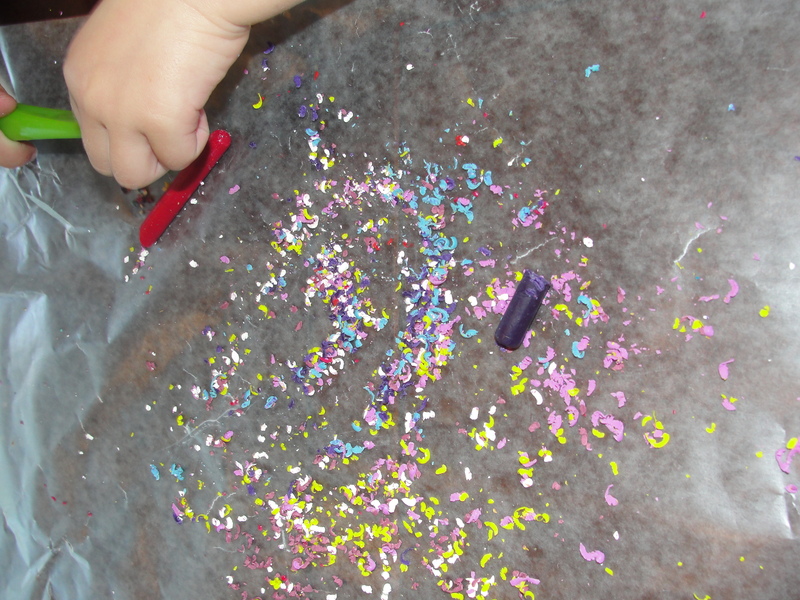 With an iron on a very low setting, iron over the wax paper to melt (don’t worry, it won’t melt onto your iron!). 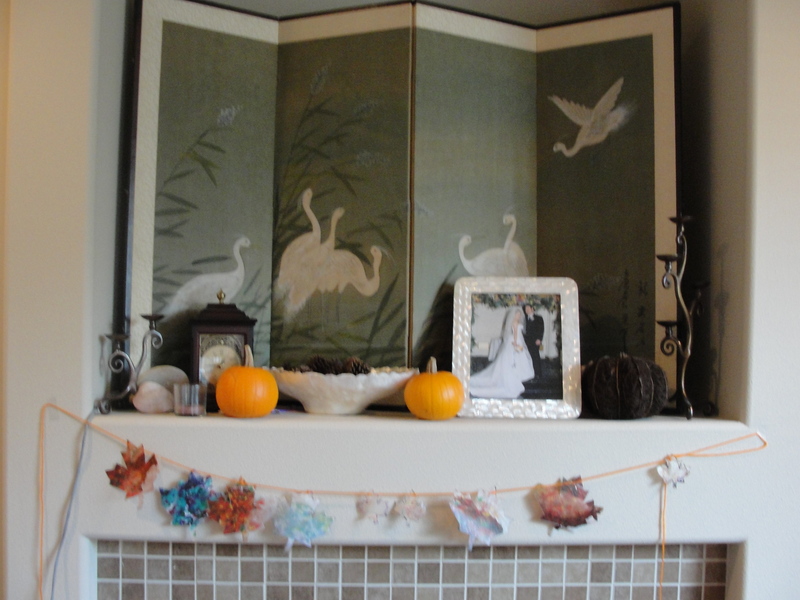 Cut into desired shapes, and decorate however you want! I think these are fun to do for Valentine’s day as well, if you use pink, white, and red crayons. 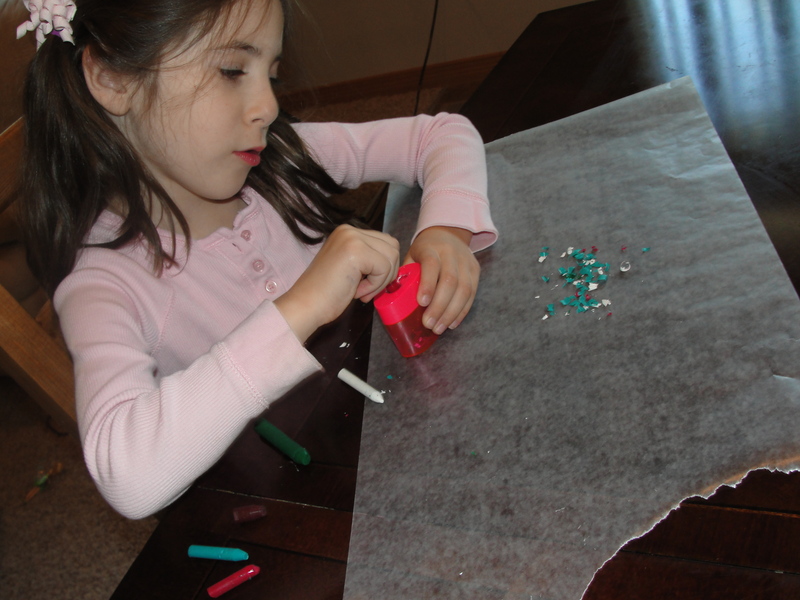 I remember doing this when I was little..so much fun!